Before embarking on this trip to Java, I did a little research on the main attractions of Jakarta and Jogja. 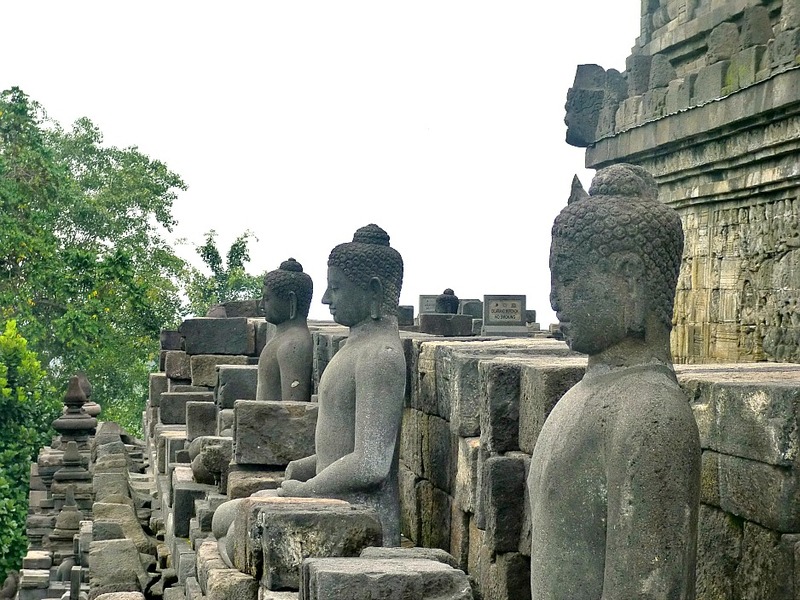 Being world heritage sites, Prambanan and Borobudur were instantly on the list. I saw photos of both, and I couldn’t understand why the latter was more appreciated than the former, when Prambanan seemed to be stunningly beautiful. 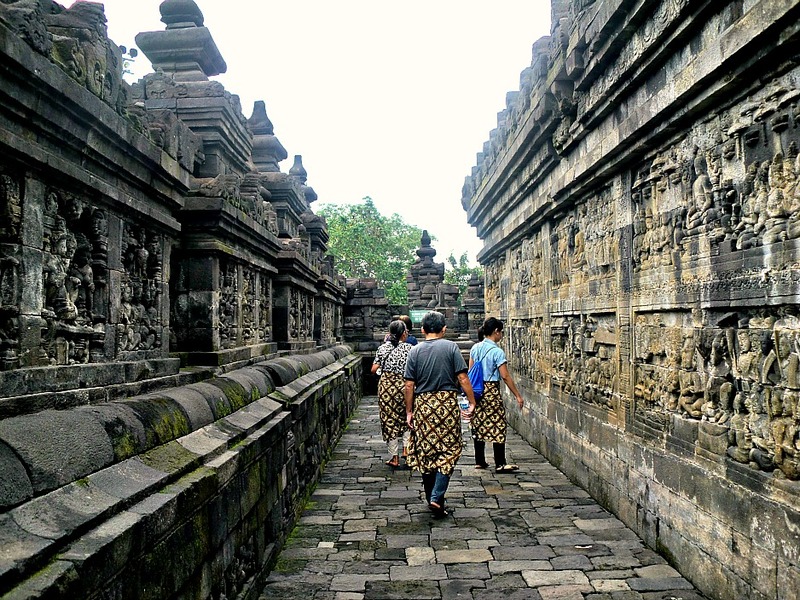 I read traveler reviews saying that it was probably because the two temples were squeezed into a one-day itinerary, and seeing Borobudur before Prambanan caused you to feel already exhausted by the time you arrive in the latter. Probably. But as I think about this now, it’s not the case. As what I said in my previous post, Prambanan was beautiful, but as you get closer, it loses its charm. 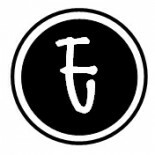 I don’t understand why, but that’s the way I felt about it. When I was looking at Prambanan from the shuttle to Ratu Boko, or even while dining at the Ratu Boko restaurant, I felt that I was seeing something so mysterious, like a newly re-discovered lost civilization; yet, when I was directly standing in front of the Shiva temple, I didn’t find it as beautiful as I expected. 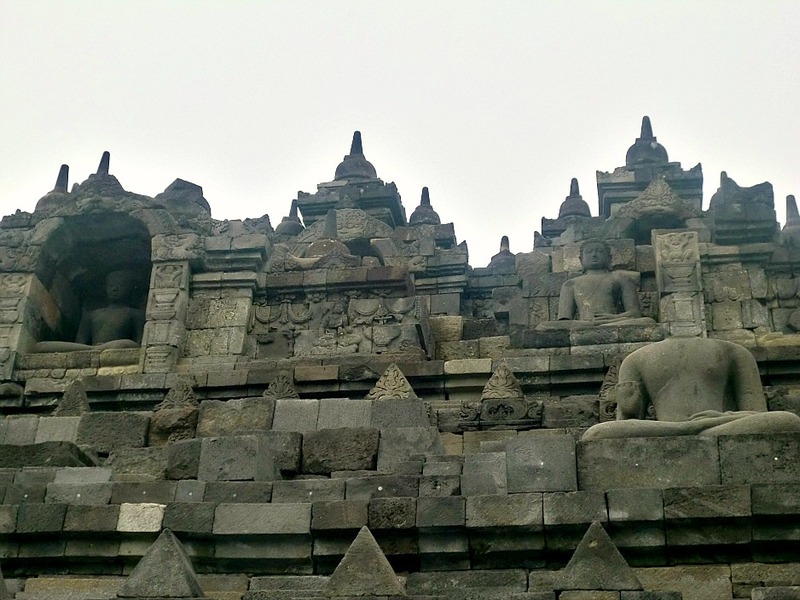 Since this was the general feeling that enveloped me, and given that I really believed that Prambanan was more beautiful than Borobudur, I expected little of Borobudur. 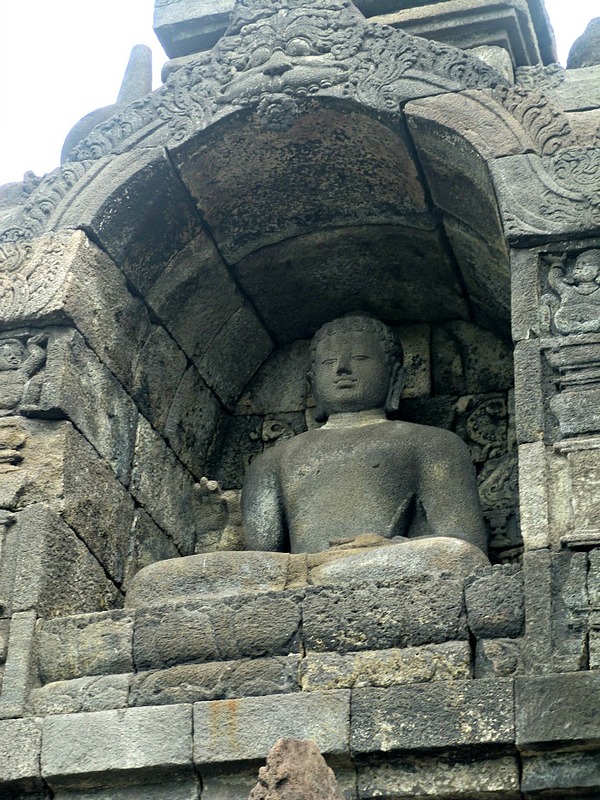 Dwi picked us up from The Phoenix and we headed north towards Borobudur. On the way, we saw the beautiful Mount Merapi. It was almost a perfect cone, yet with a little lump on its side. This instantly reminded me of Mayon Volcano, albeit Mayon was really perfect. 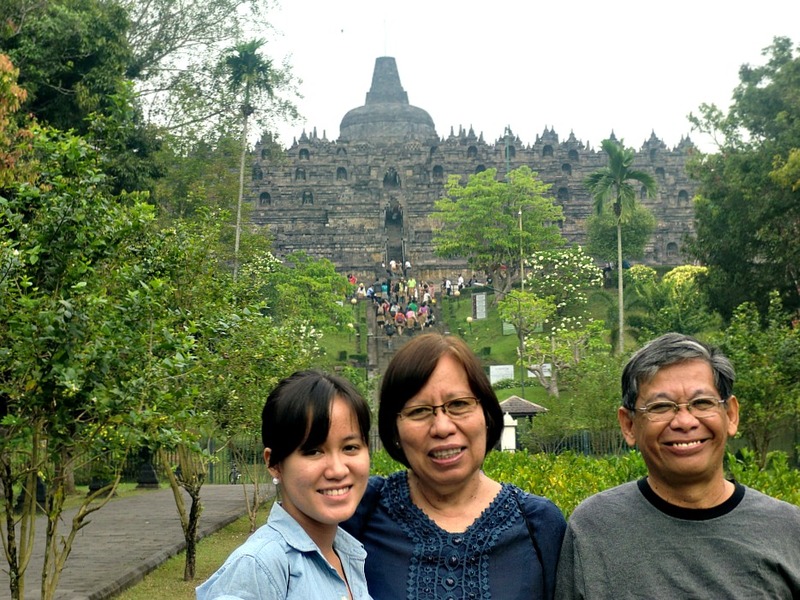 After 45 minutes of driving, we arrived at Borobudur. 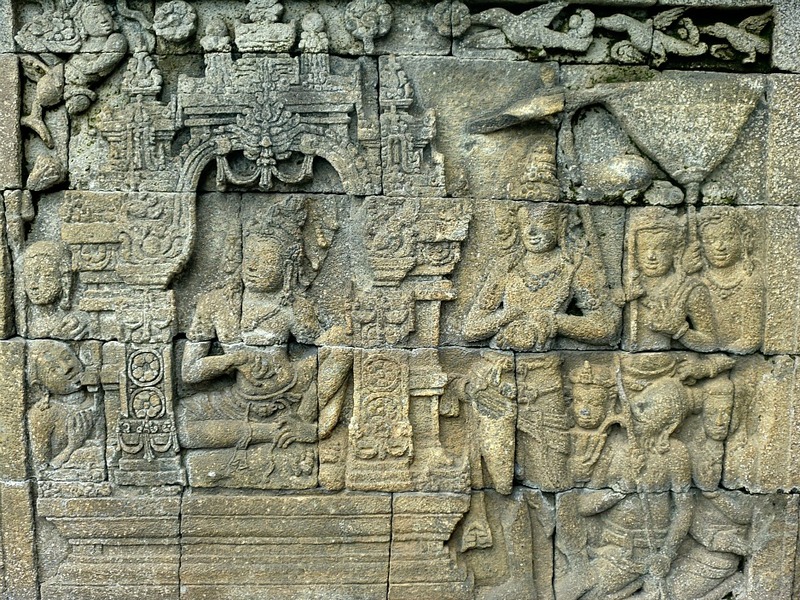 Like Prambanan, there was a different gate of entry for foreigners. Before even entering the complex, a piece of batik cloth was wrapped around your waist to cover your legs, much like a sarong. After which, we walked toward the temple. The path which led to the temple was amazing – the path was covered in stone bricks, where trees and plants grew along its borders. 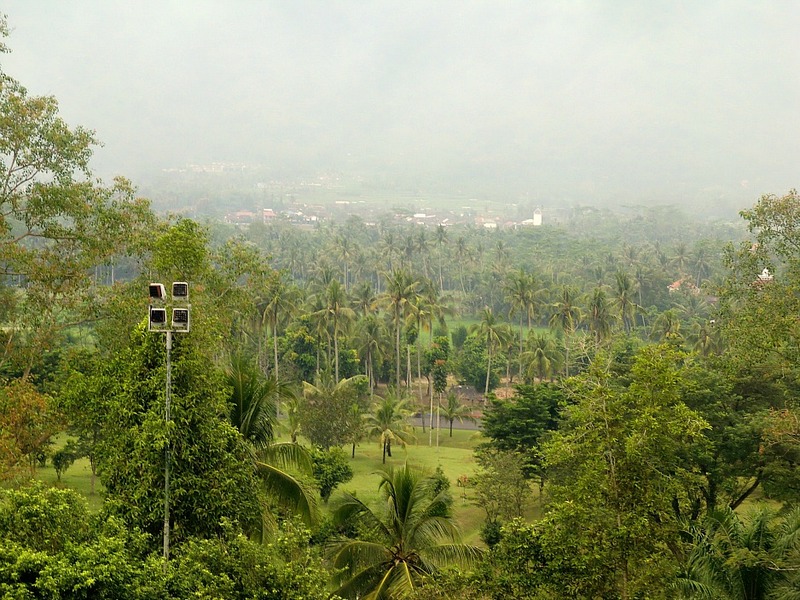 As we got nearer the temple, we caught a glimpse of Borobudur, and boy, it was massive! I was excited. I was stunned. Beautiful. Gorgeous. Awesome. 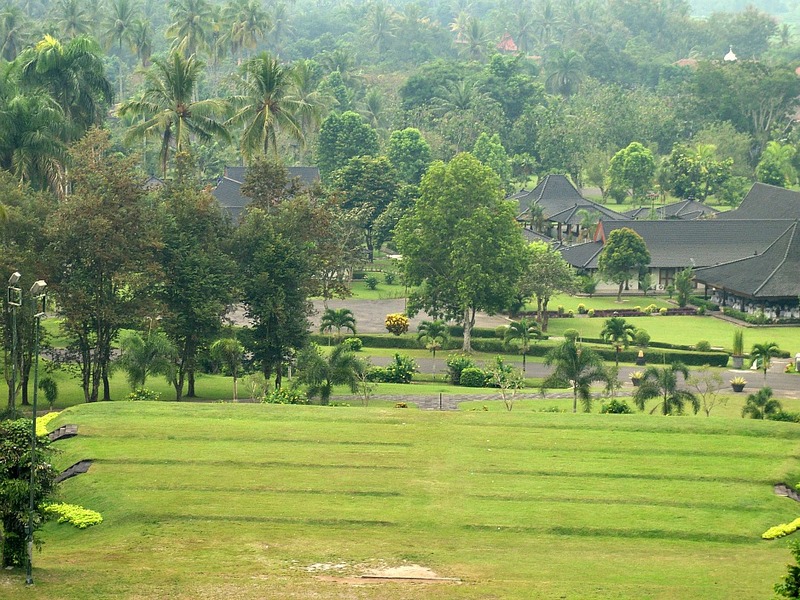 It was no joke when they said that Borobudur was huge. It really was! We couldn’t even shoot a the temple’s body in one frame. After climbing a short flight of stairs towards the main temple, off we were to witness one of the greatest temple ruins ever to be re-discovered. We chose to go around the temple as suggested: go around each level clockwise, until you reach the topmost part. Never had I seen so many Buddha statues in my life. The relief sculptures were superb. Yet, I was a bit disappointed to see that there were blank blocks of stone — probably ready to be chiseled to imitate the original ones as part of the preservation efforts. While I understand that preservation is necessary, it sunk my heart knowing that the temple I was standing on was just partly authentic, and I was not sure whether most parts of this temple were part of the original structure or if they were just re-created recently. Anyway, we got to the top, where a Buddha statue was housed on each bell-like structure. In the middle of the top level was the giant Buddha, which we didn’t get to see. I have to admit that I was more impressed with the relief sculptures on the lower levels than with the Buddhas on top floor. 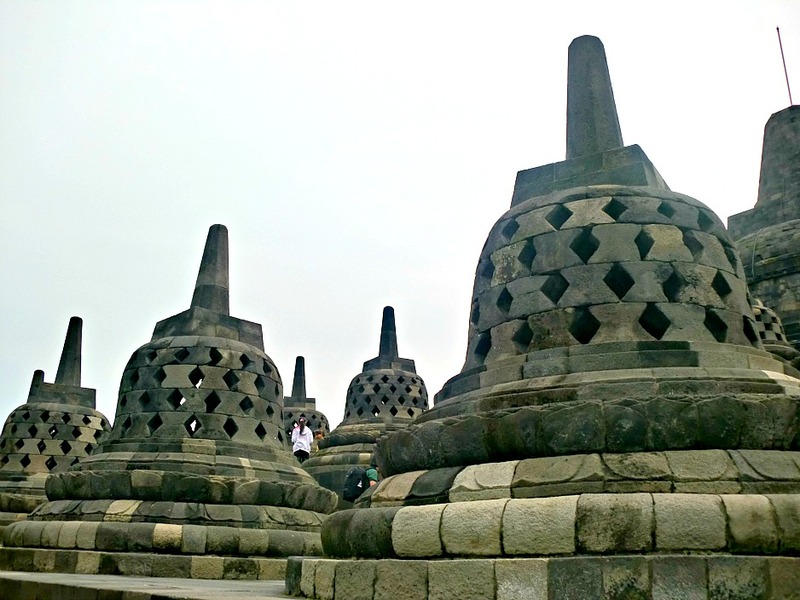 But overall, Borobudur was amazing! 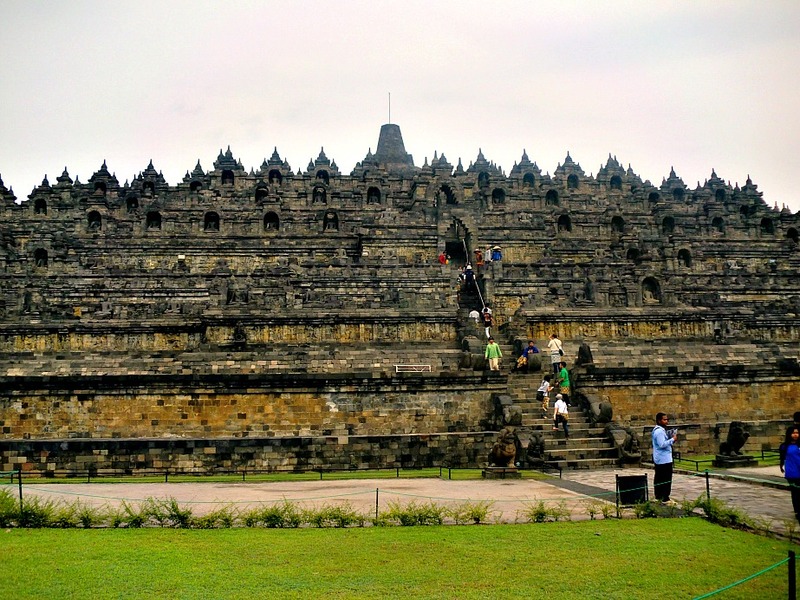 This entry was posted on August 1, 2012 by Karen in Indonesia, Travel, Yogyakarta and tagged Borobudur, indonesia, temples, travel, world heritage site.